Twitter is popular among social media marketers. Twitter advertising is decidedly less so. Overall enthusiasm for Twitter remains high, and social media pros plan to use it even more than they already do. 66% of social media marketers plan to increase their Twitter marketing in the near future, according to the 2015 Social Media Marketing Industry Report, released by Social Media Examiner. Interest in learning more about Twitter is almost equally strong, with 58% of the 3,700+ respondents to this survey saying they wanted to know more about Twitter. But that interest appears to primarily be centered around free, organic use of Twitter. As has been widely reported, Twitter’s stock dropped 27% nearly overnight in April, 2015 after the company reported slower than expected growth in ad sales. 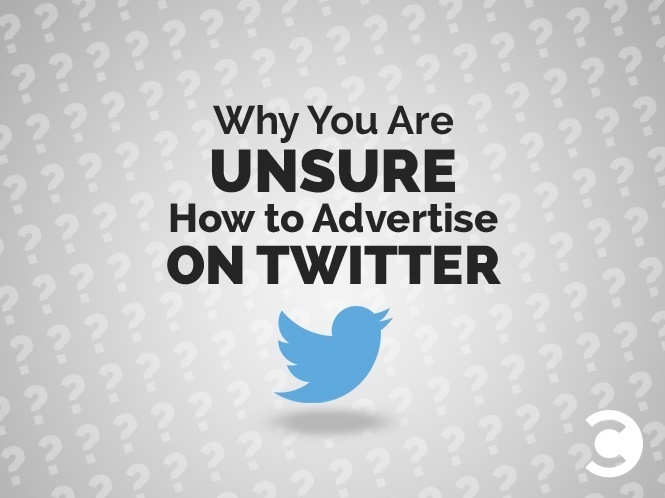 Are we surprised that people don’t want to advertise on Twitter? Even social media marketers aren’t that excited about Twitter advertising. This chart speaks volumes about Twitter’s financial issues. 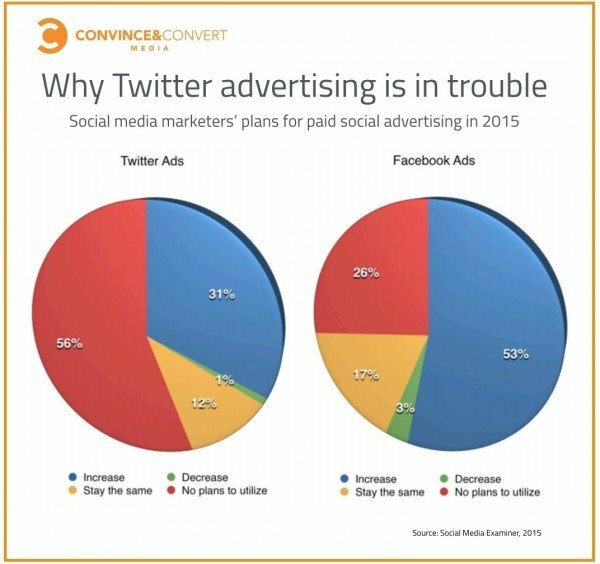 Fewer than half of social media marketers are interested in paid Twitter AT ALL, and only 31% plan to increase spend in 2015. However, more than half of social media marketers plan to increase paid Facebook over the same period. If fewer than one-third of the people who do this for a living are interested in increasing their Twitter ad budgets, imagine the tepid interest among “regular” businesspeople. In many ways, Twitter is to blame for this mess, and the harder they try to fix it, the deeper they dig their own hole. The biggest challenge is that what and how you buy ads on Twitter changes ALL THE TIME. New ad units. New ways to pay (They just rolled out six new payment models, included cost per app download. Great to offer that flexibility, but it just ups the complexity geometrically which hurts the small business revenue stream). They keep offering new and different ad products, but that just muddies the water and adds to the sense that it’s a lot of work to do Twitter advertising. Now, Twitter is rolling out the ability to buy ads within Google’s DoubleClick ad platform. That will make it easier for existing DoubleClick users to buy in one interface of course, but Twitter is playing a dangerous game there. Unless there’s a Google/Twitter merger coming (and I don’t believe that would be far-fetched, actually) Twitter is very much sticking their head in the lion’s mouth. 66% of social media marketers plan to increase their usage of Twitter, but only 31% want to increase paid Twitter. 62% of social media marketers plan to increase their usage of Facebook, and 53% want to increase paid Facebook. See the difference? Facebook has successfully convinced social media marketers that paid Facebook IS Facebook. Twitter has never done that. And the only way they will hit their revenue goals and convince more marketers that it’s worth it to learn how to advertise on Twitter is to start aggressively suppressing organic reach, as Facebook did.